Who should read this book: every CEO or leader who has any type of recurring revenue model. This book explores the idea that business relationships are fundamentally changing and that now, your business success is forever linked to your customers’ success. This book is a cutting-edge guide to the exciting new model of customer management. If you have a reoccurring revenue business model, this book shows you the metrics to measure in the customer journey and how to drive growth. 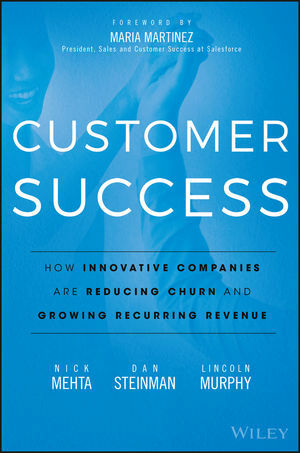 With details about how to increase customer renewals, decrease customer churn, increase customer base, lower customer acquisition costs and extend customer life time value; this book is the blue print for speeding customer growth. The examples used in the book are from software service companies, however ‘Customer Success’ applies to any company with a reoccurring revenue model. I highly recommend this book as a proactive and data driven resource to radically grow your recurring revenue.